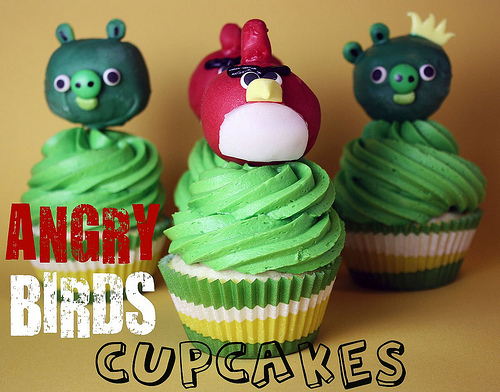 I have never played Angry Bird (although my husband and kids love it) but even I think this cake from Electric Pig that I saw over on Craftzine looks beyond fun. You can watch a video of them making and actually PLAYING Angry Bird with the cake. I will have to say that after looking at all these fun party ideas it makes me want to play the game. OMG that is so clever! That is hilarious! I'm going to have to show this to my husband...he plans that darn game 24/7! That is so great! 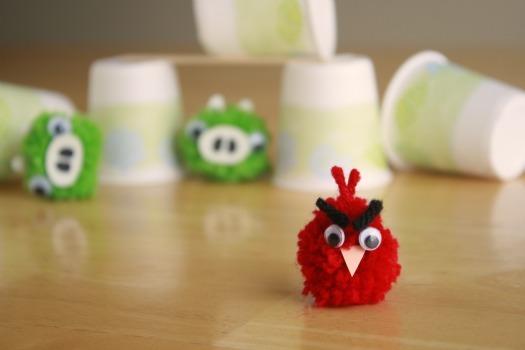 I love angry birds and this is such a fun idea! Thank you for sharing! Angry Birds is a big deal with ALL the boys in my house (small and big)!! Love all of these, eps the interactive cake!! If I practice, maybe I can make this cake to perfection come September! 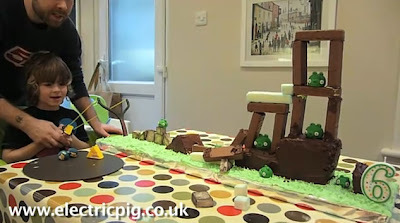 We're having an Angry Birds birthday party for my son in April. 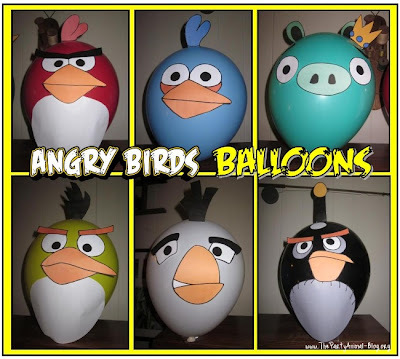 I had custom birthday invitations made on etsy: http://www.etsy.com/listing/69048074/angry-birds-birthday-invitation We're also having a custom "king ping" pinata made for the kids to bash. I also plan to make the great balloon angry birds shown above. My son is over the moon and so excited about his party!